I don't think anyone was expecting this cameo. Before we get going here, I just want to be clear that this post contains a pretty big spoiler for Solo: A Star Wars Story. So, if you want to go into the movie as blind as Chirrut Îmwe — STOP HERE!!! But be sure to bookmark this for later! Now, for the rest of you, let's talk about THAT cameo in Solo, because I'm sure you have QUESTIONS. 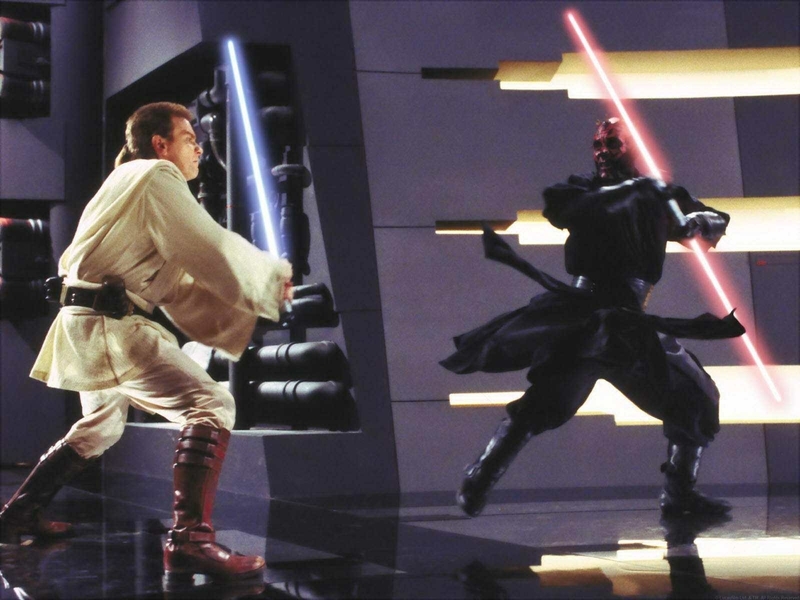 Of course, I'm talking about the appearance of Darth Maul — who, most people will recall, DIED at the end of The Phantom Menace. Or...at least SEEMED like he died, right? Now, this jarring cameo may have made you think at first, "Wait...WHEN does this movie take place?!" And then you probably were distracted for a good five minutes working out the timeline in your head. Solo, therefore, takes place after the events of Phantom Menace, i.e. after Darth Maul's "death." Also, you may have noted that Darth Maul's lightsaber in Solo looked different than the one he had back in the day. Which makes sense because his fancy-dancy double lightsaber was split in half in Phantom Menace. It went through some visual changes in the Star Wars animated series, but MORE ON THAT IN A MINUTE. And finally, you may have missed it, but Maul was also sporting robot legs in Solo. Which is very important since he, ya know, got chopped in half. So, here's the deal. All these details tell us Disney has embraced the ~new~ canon which includes Darth Maul's storylines from the animated series Star Wars: The Clone Wars and also Star Wars Rebels. There's A LOT of detail and backstory to Maul's role in both these series, but the gist is that Maul actually survives being cut in half by Obi-Wan and seeks out revenge on him. In the animated series, Maul is rescued by his brother (yes, he has a brother), named Savage Opress. He gets some new robot legs, takes on his brother as an apprentice, and they create a crime group called the Shadow Collective with some other baddies. More fights happen, he makes friends with a Padawan, and is finally killed (for REAL) by Obi-Wan on Tatooine (Luke Skywalker's home planet). DID YA GET ALL THAT? So...there you have it. 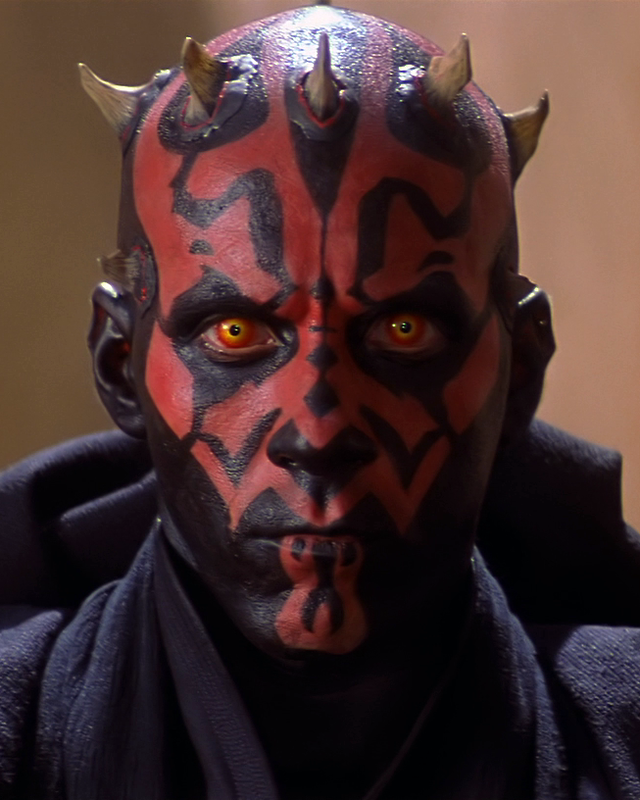 Darth Maul DIDN'T die at the end of Phantom Menace, and is now running Crimson Dawn (whatever that is, maybe just another name for the Shadow Collective from the animated series), and is actually the ~true~ baddie of Solo: A Star Wars Story. Need to lie down now? I know I do.